Many young people today find it hard to see the point in joining a trade union. Unions often seem outdated and out of touch. The following is the Socialist Party’s contributions to this debate, an attempt to simplify and explain why we think it is still worth being a trade unionist in 2003. Trade unions are organisations established by workers in an attempt to reduce the exploitation that they face from their employers. Generally they are industry based. 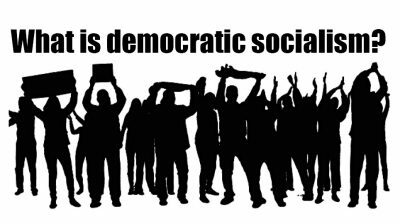 Unlike the Socialist Party, in and of themselves trade unions are not revolutionary. They are designed to work within the capitalist system and aim to reduce the amount of exploitation, not destroy it. However in fighting for better wages and conditions and against job cuts, workers become active and begin to learn about the realities of political life for example that the police, the media, right-wing politicians and the courts are all one big conspiracy to keep workers down. Many workers become politically aware through their experience in working class struggle. Workers play a key role in society. Most of us work, and spend our days either making, processing, distributing, selling or accounting for various goods and services. Because of this role the working class, that is those of us who sell our ability to work in order to earn money, is the most powerful class in modern capitalist society. Society would be unable to function if it wasn’t for the role of workers. The other main class is the capitalist class, who own the factories, banks and companies where people work. Capitalists pay back to the worker a proportion of the new wealth created by his or her labour as wages. The capitalists keep the rest and this is known as profit. Are unions still relevant today? The conflict between the amount of new wealth going to the working class and the amount going to the capitalist is the essence of what is called the class struggle. At the moment there are approximately 9.2 million people employed in the Australian workforce. Approximately 25% of these workers are organised in trade unions. Union membership currently stands at about 1.2 million members. Whilst this figure doesn’t seem very impressive the fact remains that those workers have an unbelievable amount of latent power. If all of these workers stopped work simultaneously it would bring the bosses of this country to their knees. With the ever-increasing gap between rich and poor trade unions are as relevant today as they were 150 years ago. They play an important role in the class struggle, and will continue to do so as long as capitalism exists. What have Australian unions achieved in the workplace? – Personal carer’s leave and more! Trade unions have been key to the development of Australian society as we know it without them our working lives would be very different. They play an important role in defending and sometimes advancing our class interests. Yes, the term bureaucracy is also applicable to conditions and practices within the labour movement. Usually in situations where the workers are prevented from exercising control over their organisations and officials. We believe one important asset for any healthy trade union is rank and file involvement in all levels of decision making. Unfortunately this is not the case in the union movement today. Most of Australia’s unions are used as training grounds for the ALP as opposed to fighting organisations for the working class. Many trade union officials enjoy highflying lifestyles; some on wages much higher than the workers that they represent earn. This places them in a position of comfort were it is not in their interests to rock the bosses boat, also they find themselves out of touch with the issues that the rank and file face each day. Because of the potential strength of the organised working class (i.e. the trade unions), the capitalist class likes to keep them under their thumb, this is why the bosses support the role of the trade union bureaucracy. In capitalist society the union bureaucracy acts as a kind of buffer between the workers and the bosses. At times gaining some minor reforms but for the most part keeping the working class in check, ensuring that they don’t get too carried away with ideas about changing the crazy capitalist system. Reformism (i.e. The ALP style of politics) is generally heavily impregnated with the practice of bureaucracy. The leaderships of most ALP dominated unions are riddled with bureaucratic tendencies. These so called leaderships, approach working class problems only from an administrative stand point, they in turn deny the working class the capacity to struggle on a political level. The years of 1983-96 (The Accord years) were very significant in Australian trade union history. This period basically saw a marriage between the Hawke and Keating Federal ALP government and the national union leadership (ACTU). The two parties basically agreed to keep wages in check and in fact cut the real wage so as to boost profits and (according to the neo-liberal theory) generate new investment leading to new jobs. This policy went hand-in-hand with a policy of privatisation, deregulation and spending cuts. Over the 13 years of the Accord, the real wage dropped by 25% and there was a massive transfer of wealth from labour to capital. The setting of wage outcomes via an annual national deal between a handful of Labor politicians and union bureaucrats bred a culture of corporate unionism, the leaderships no longer had to fight for anything and they clearly got lazy, in turn the working class forgot how to struggle. The culture of corporate unionism still exists in most unions today however there has been some reaction to this with several rank and file groups taking on the incumbent leaderships in elections. 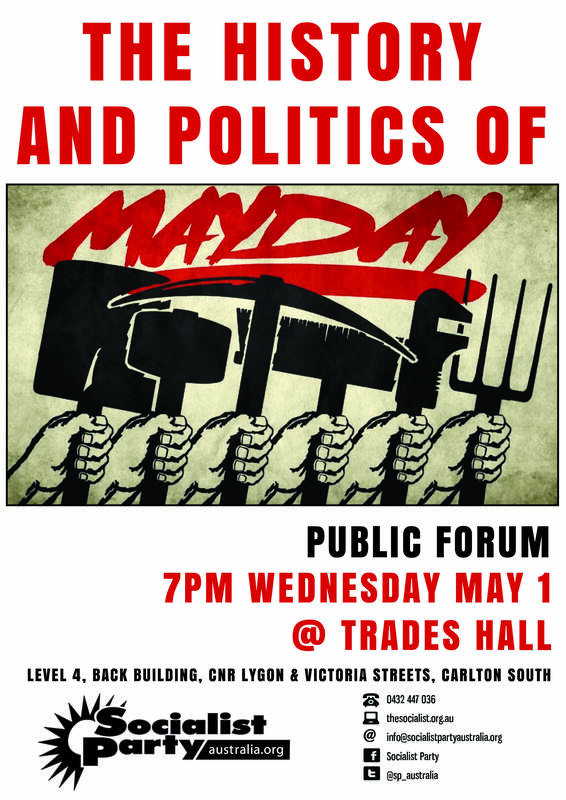 This has occurred mostly in Victoria but recently workers in other states have been inspired and also decided to challenge. Most Australian trade unions are run by one or another faction of the ALP. There is technically a three-way split in the unions – Right wing, Soft Left and militant unions. However the real difference is between class collaborationist unions and class struggle unions. Class collaborationist unions are generally hand in glove with the bosses and depend on the Labor Party and the Industrial Relations Commission to defend their members’ interests. Whilst militant class struggle unions rely on class struggle and militant industrial action to advance the interests of their members. These latter unions are led by a newer leadership that mainly came to power in the mid to late 1990s. Unfortunately the militant class struggle unions (i.e. coincidentally the ones not controlled by the ALP) are few and far between. Whilst there are many good rank and file activists in other unions the idea of militant class struggle unionism has been rejected by the leaderships. The immediate task for socialists in the union movement is to build rank and file groups in every branch of every class collaborationist union. With the aim of turning the unions away from being a training ground for ALP bureaucrats and returning it to the rank and file so that some real gains can be made for the membership. Unions are the best organisations to fight for workers in the workplace. But the reality is that we have interests elsewhere as well, for example healthcare, education, public services and so on. Therefore in the past workers have created mass partiess to take up these issues. The ALP is an example of an organisation that was once a workers party. 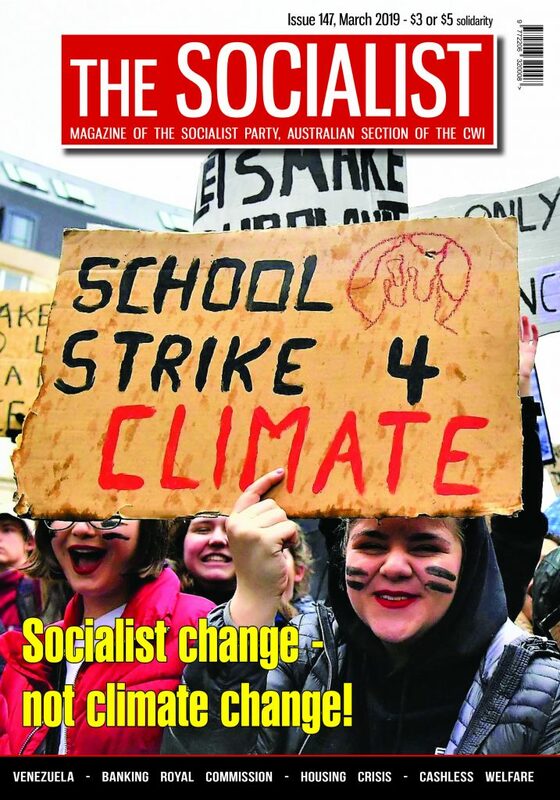 The Socialist Party believes that these days the ALP is not much different to the Liberal Party and the time has come to build a new workers party. We have called for unions, especially the militant unions as well as community groups to move in the direction of establishing a democratic and campaigning party. We would actively support and build such a party, while at the same time fighting for genuine socialist ideas and militant action within it. *Trade union democracy: rank and file groups to be built in every union. * Form an unemployed workers? union. * All union officials and organisers to be regularly elected and subject to recall. * All union officials to receive the average wage of the workers they represent and only genuine expenses. * Delegates or shop stewards to be elected by workers in every workplace. * Hold regular mass delegates meetings. * All major issues to go to mass meetings of union members to be voted on. * No secret negotiations between union officials and bosses. Union officials to be accompanied by delegates or shop stewards in workplaces and in negotiations with bosses at all times. * Make the use of scabs by employers illegal. * Fight all anti-union laws with industrial action if necessary. 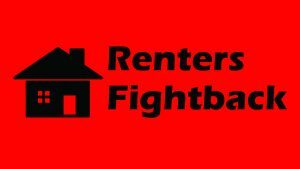 * Conduct a mass campaign to defend the right of all workers to organise, strike and picket without legal restrictions. * Unions to be given immunity from common law action. * As a general principle unions should resist the paying of any fines relating to industrial disputes whether for the union itself, a union official or an individual worker. If in any particular instance circumstances force the payment of a fine no individual worker or official should be forced to stand alone and the union will pay the fine for them. * Internationalism – Australian unions to form links with and actively support, through solidarity boycotts and industrial action, workers in struggle internationally. * For active solidarity and joint action between unions in Australia and unions worldwide, not just at international union meetings but through solidarity action, material assistance and advice. This is the only way we can combat the unity bosses have internationally. We must support those fighting for a rise in workers’ wages and conditions in countries like Indonesia and China and prevent bosses from shifting their plants offshore. * Build a new genuine mass workers’ party based on trade unions, community organisations and working class people. The following is a brief history of the Australian class struggle. It highlights some of the high and low points of union history and points out some of what trade unions have achieved over the past 150 years. 1850 – Stonemasons union formed. 1854 – Australia’s only armed rebellion – The Eureka Stockade results in at least 20 deaths. 1856 – The 8 Hour Day Movement is formed by the Stonemasons in Melbourne and Sydney. 1869 – Men of the Coranderrk Aboriginal Station Victoria demand wage payments for their labour. 1870 – The Sydney Trades and Labor Council formed. 1873 – The Amalgamated Miners Association formed. 1873 – The first Seaman’s Unions formed in Sydney and Melbourne. 1878 – The Seaman’s Union organises a maritime strike. 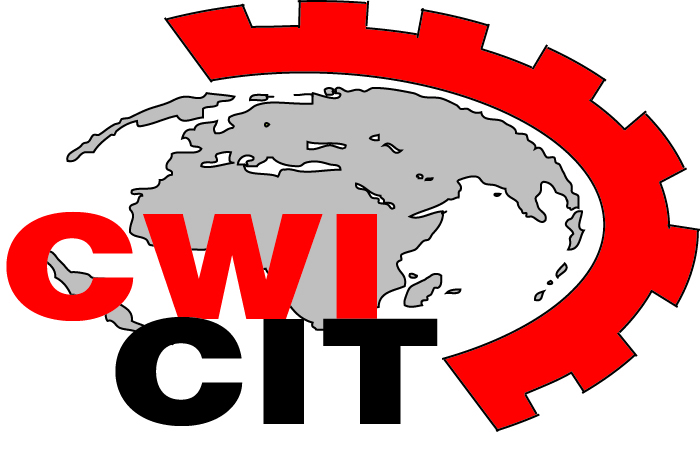 1879 – The Inter-Colonial Trade Union Congress – the forerunner of the ACTU – is formed. 1881 – The N.S.W. Trade Union Act is passed giving union rights and registration. 1882 – The Victorian Tailoresses Union is formed, as is the Waterside Workers Union. 1885 – The first Board of Arbitration resolves a dispute in favour of the workers. 1886 – The Shearers Union formed. 1890s – Breakout of several massive industrial battles including Shearers Union strike over freedom of contract and the miners strike in Broken Hill over wage cuts and employment of scabs. This was the first major test of unions. The unions were defeated and the workers drew the lesson of a need for a workers’ party and a process began that led to the creation of the ALP. At the same time employers were getting organised and forming their own organisations. 1901 – Federation of Australia. Federation went hand in hand with the White Australia Policy and Industrial Arbitration system. In effect a rotten arrangement was made between capital and leaders of the working class to give a share of profits to white workers and in return the State kept non-whites out. Radical elements like Industrial Workers of the World (IWW or Wobblies) stand against the racist, compromising tide. 1902 – Women in NSW and Commonwealth receive the vote. 1904 – Australian Conciliation and Arbitration Commission established. 1907 – The Minimum Basic Wage is established by Mr. Justice Higgins in the Harvester Award. 1912 – Strikes in Brisbane over the Tramways Co. refusal to recognise members’ right to wear union badges. 1914 – 1918 – World War One: Unions play important role in successful fight against the introduction of conscription. Post war explosion in class struggle, influenced by 1917 Russian Revolution. NSW Labor Council passes resolution in solidarity with Bolsheviks. Push for One Big Union by progressive sections of union movement. 1918 – The Australian Workers Union formed by rural worker organisations. 1920 – 44 hour week awarded to timber workers and engineers. Others soon follow suit. 1926 – Federal Crimes Act amended to apply to unions – known as the ‘Dog Collar Act’. 1927 – ACTU is formed. 1930s – Communist Party establishes Militant Minority Movement (MMM) to link up Communist-led rank and file groups in the various unions. CPA has growing influence in unions. 1939 – 45 World War Two: Communist-led unions stifle strike action to support ‘war effort’. On Balmain docks in Sydney Trotskyists led by Nick Origlass gain majority support and win big concessions for workers. Two weeks annual leave is also introduced. 1946 – Aboriginal workers in WA strike for better wages and conditions; strike lasts until 1949. 1948 – Queensland Railways strike runs for 9 weeks. Queensland meat dispute -. 40-hour week is gained. 1949 – The Coal Strike for 35 hour week and Long Service Leave result in the use of troops against workers. 1950 – The female wage rate is lifted to 75% of the male wage rate. 1957 – ACTU restructures its Executive to allow unions form into industry groups. 1963 – Annual Leave of 3 weeks becomes standard. 1966 – Decision to grant Aborigines on Northern Territory Cattle Stations equal pay. 1969 – Equal Pay Case paves the way for women to receive pay equal to that of men. 1972 – A second equal pay case results in the principle of equal pay for equal work being established. 1973 – Four weeks annual leave gained. 1975 – Wage indexation is introduced as the main method of wage fixing. 1979 – The right of women workers to 12 months-unpaid maternity leave is achieved. 1981 – Wage Indexation is abandoned. 38-hour week is achieved in Federal Metal Industry and other awards after militant industrial campaign. 1983 – The Accord is introduced by Hawke government – a new era in sell out by the ALP. 1984 – National Occupational Health & Safety Commission is established. 1985 – Queensland power industry dispute leads to draconian anti-union law passed by State Parliament. 1986 Introduction of superannuation for Australian workers. 1987 – The two tiered wage system is introduced. Unions begin a drive for industry and award restructuring. 1988 – Conciliation and Arbitration Act 1904 is replaced by Industrial Relations Act 1988. 1989 – Unions embark on Award Restructuring process. 1990 – ACTU drive to reform the Australian education and training system. 1992 – Enterprise bargaining is introduced into Industrial Relations Act. Union amalgamation accelerates. 1994 – Industrial Relations Reform Act 1993 comes into operation. 1996 – Howard Government introduces a new piece of anti union legislation – Workplace Relations Act. 1998 – MUA dispute explodes at Easter as bosses/government conspire to deunionise waterfront and smash conditions won over decades. Mass pickets defeat police and keep MUA alive on the wharves, however MUA/ACTU leaders give away many working conditions. 1990s – In union elections, new and young more militant leaderships come to power in Victorian blue-collar unions as a reaction to the policies of the Accord years. A limited return to class struggle approach in these key unions. 2002 – Federal government attacks militant construction unions through Royal Commission into the Building Industry.